While most children develop language naturally, simply by listening, some need extra stimulation. Our speech and language programs provide this extra processing and listening practice, the equivalent of millions of spoken words in just a few weeks, as well as vocabulary and other language instruction to help your child catch up. Speech-sound disorders include problems with articulation (pronouncing words accurately), phonological processes (sound patterns), inability to relate stories, and/or lack of talkativeness or willingness to talk. Childhood Apraxia of Speech (CAS) is a motor speech disorder. The child knows what he or she wants to say, but his or her brain has difficulty coordinating the muscle movements necessary to say those words. Dysarthria is a motor speech disorder, often related to head injury, cerebral palsy, and muscular dystrophy. Orofacial Myofunctional Disorders (OMD) occur when the tongue moves forward in an exaggerated way during speech and/or swallowing. Stuttering affects the fluency of speech. The disorder is characterized by disruptions in the production of speech sounds, also called disfluencies. 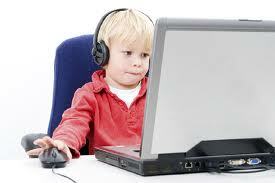 Most speech disorders in children stem from listening difficulties caused by processing and phonological difficulties. If a child does not hear words clearly and/or is struggling to absorb language structure he/she will be reluctant to use those words or will use or pronounce them improperly. Fast ForWord targets the underlying language processing disorder and can have an amazing impact on listening-related speech delays in just a few months. Unfortunately, the other speech disorders — specifically, stuttering and apraxia of speech — are much harder to treat and will require in-person speech therapy training from a licensed SLP, most likely in clinic. Participation in conversation. Improved processing improves receptive language skills, effectively slowing conversation and teacher instruction down, making it easier to participate. Significant vocabulary gains. Because your child will be able to listen more accurately, more words will be absorbed and then used. This applies particularly to longer words and words with blends — both of which will be easier to pick up — and words relating to intangibles, that without a concrete item to point to, were hard for a child with processing difficulties to pick up. Improved articulation. 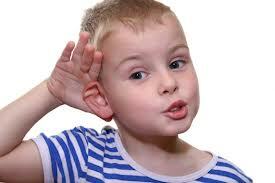 Improved listening will help your child hear the sounds inside words more clearly, leading to better pronunciation. Conversational skills, relating a story. Fast ForWord can eventually help children with speech delays learn how to relate a story, in sequence and with detail. Improved listening will allow a child to improve the ability to hear how others communicate, and over time this will translate into better communication skills, although given the integration with other aspects — reasoning, knowledge, perception — improvements in communication, relating a story in particular, will occur more slowly over the year or so after completing our online speech software. “An SLP recommended speech therapy using Fast ForWord. Her speech assessment results showed a significant change in her reading ability. Having previously demonstrated a lack of conversational speech, which held her back from a mainstream class, her results have her now just below the class average. This is attributed to the Language Basics and Language v2 Programs she has been using. It is exciting to see the change in her after only a couple of months”. “John and I have noticed huge improvements with his communication, and speech”.